Hello dolls! 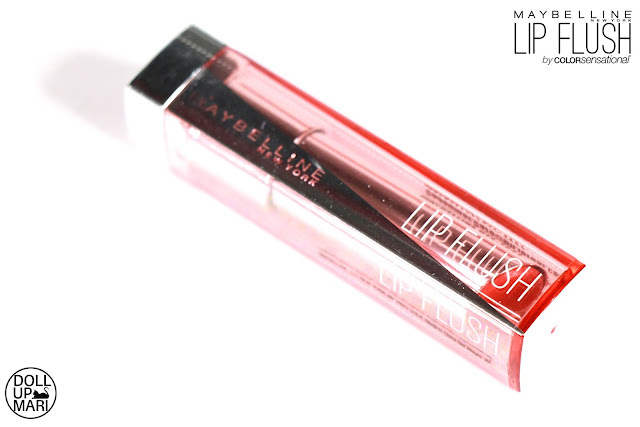 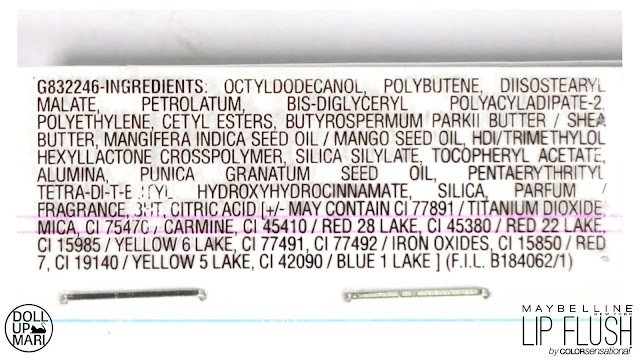 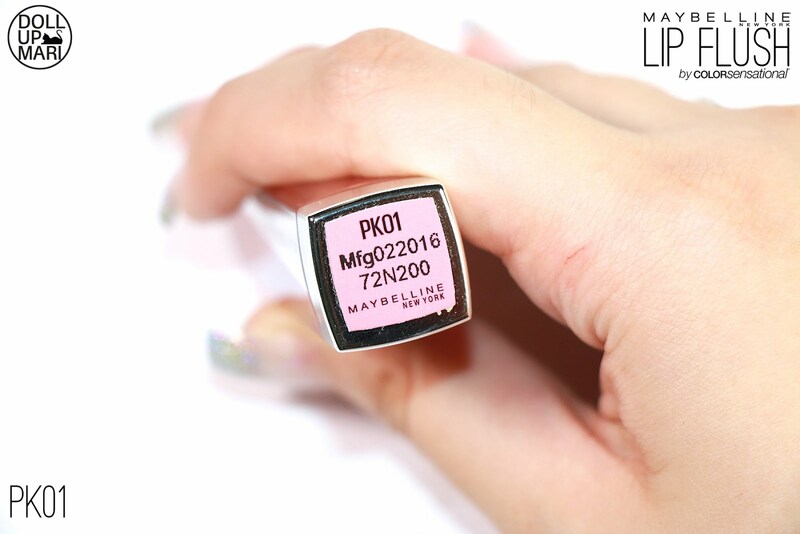 This is my review for Maybelline's Lip Flush Sheer Healthy Lip Color in PK01, or Pink 1. This is basically a creamy warm baby pink. 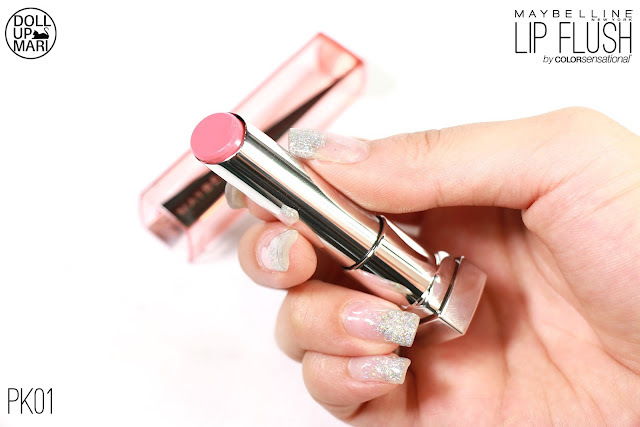 It will work as a nudy pink but in the sense of being light, not necessarily in the sense of having mauve and brownish touches as the Rosy Matte lipsticks have. This, by far, is my ultimate favorite shade in the whole collection. 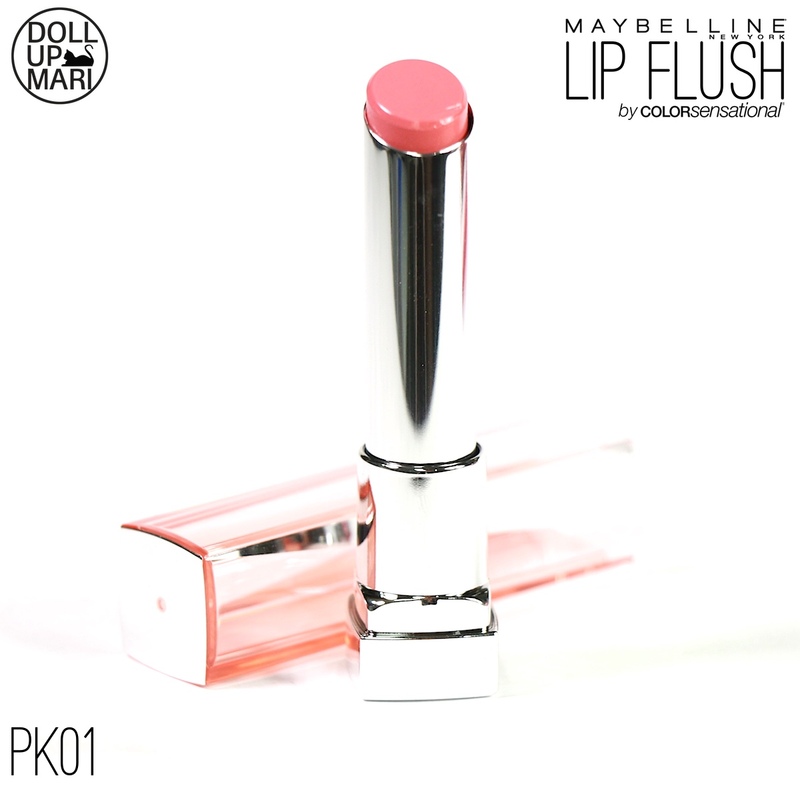 This is exactly my shade, like if I were to make a lip balm shade this would be it. 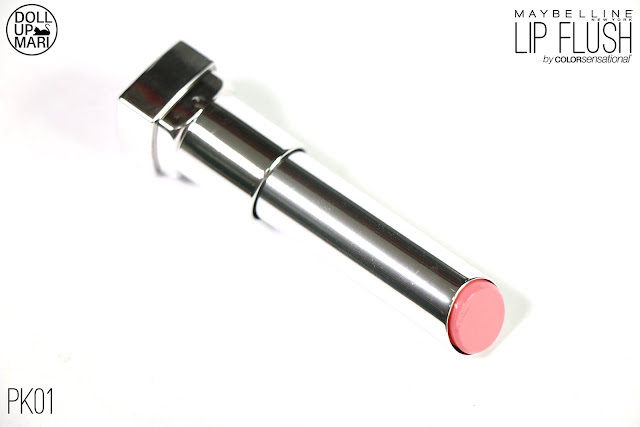 I also love that the creaminess of this shade makes it pass off as lipstick already. 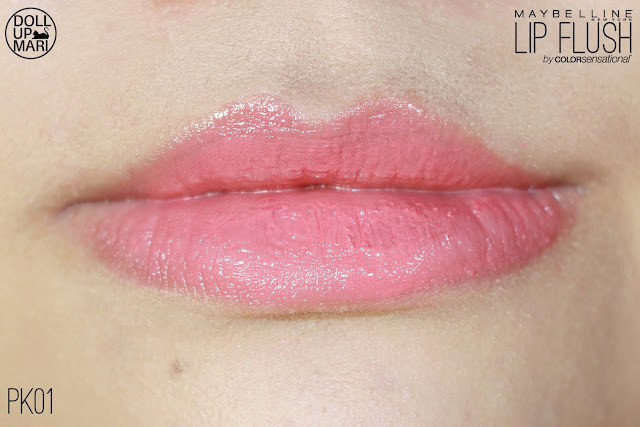 On the lips, it looks as if I'm wearing a glossy version of Maybelline Rosy Matte in Mat 5, or my all time favorite 3 Concept Eyes Bohemian Pink lippie. 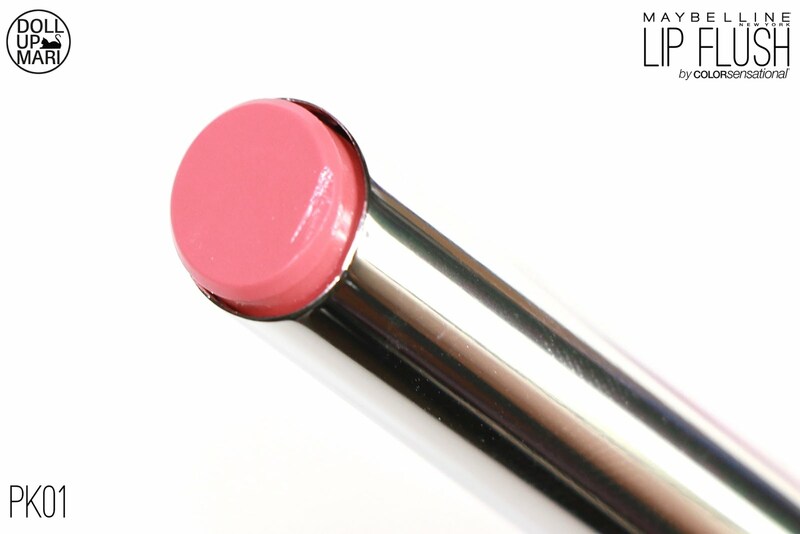 It's a really gorgeous shade. 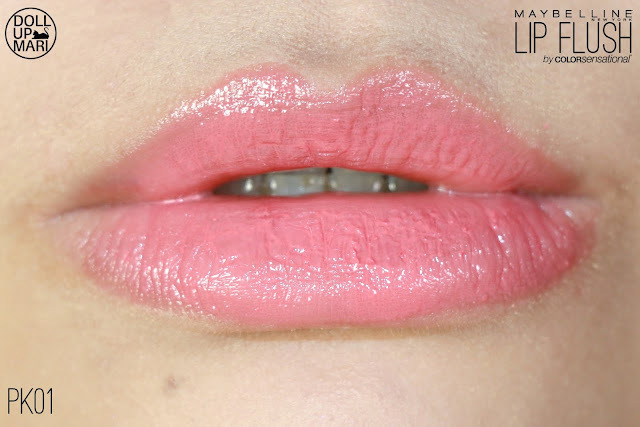 On me, I love how the creaminess of this shade makes the lips look so pouty and healthy. 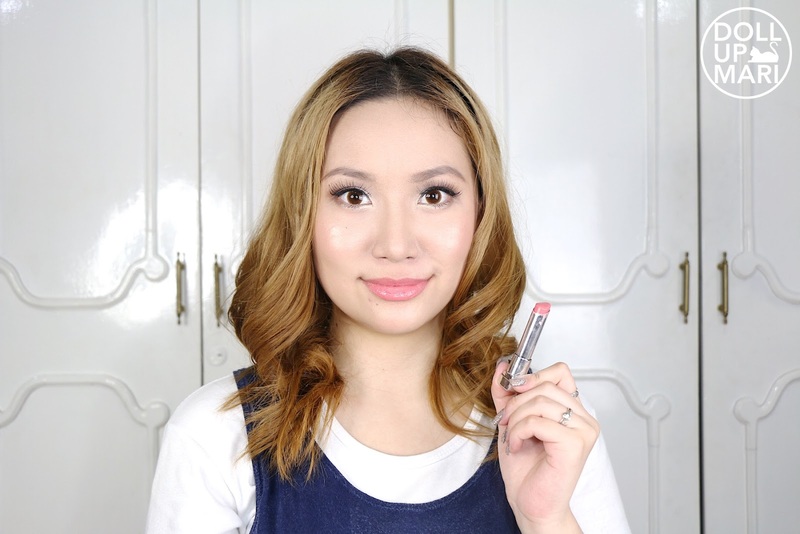 I really am so impressed because it looks like I'm wearing a lipstick even when I'm not. I get the comfort that I need in the sophistication that I want hihi.